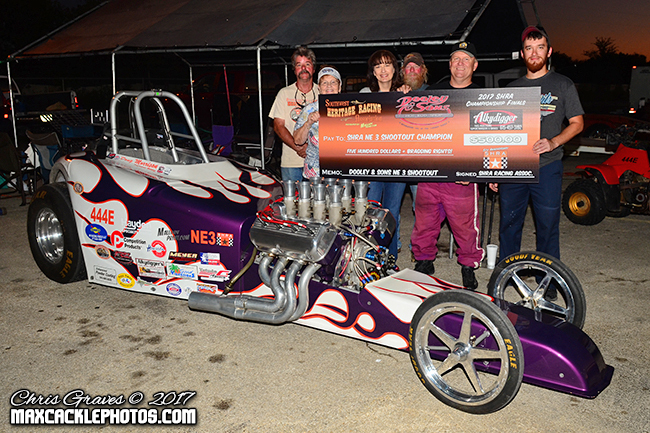 An epic conclusion to the 5th Anniversary season of the Southwest Heritage Racing Association unfolded at North Star Dragway in Denton, Texas on Saturday, October 7th. 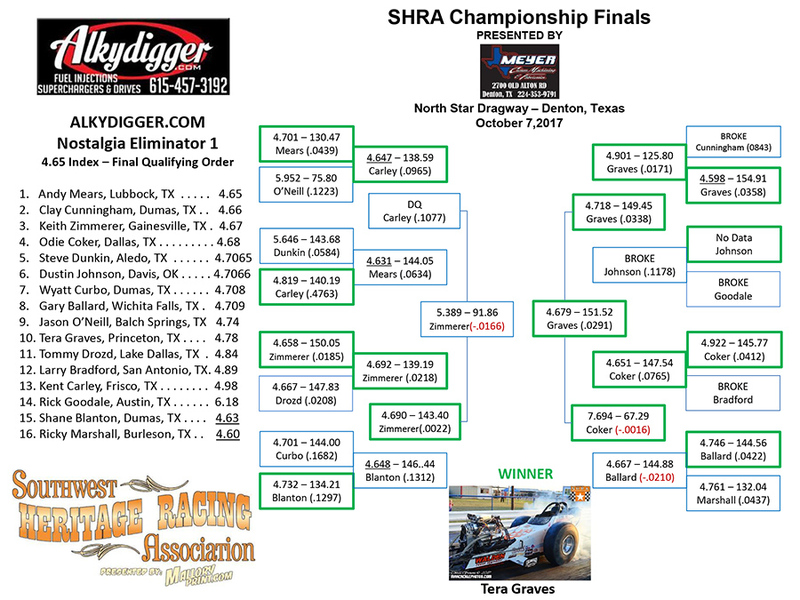 This SHRA Championship Finals was presented by Meyer Enterprises and six class Champions would leave this event with their custom designed Championship trophy in hand, courtesy of Allen Meyer and Meyer Enterprises. It has been a very competitive season in the MalloryPrint.com / Mears Mazda Volvo SHRA racing series and this final event welcomed many points battles to the settled in this final race of the year. 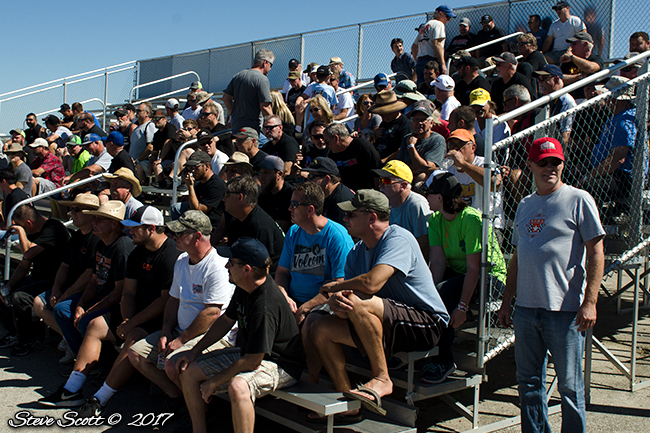 130 SHRA racers packed the pits to capacity under sunny skies on a great day for old school drag racing in Texas. This event also welcomed special guests from the Be An Angel foundation and a 50/50 raffle was held to raise funds and awareness of this great non-profit program that is dedicated to helping children with special needs. With massive support from the SHRA community, a total of $2,130 was raised. The raffle was won by none other than our wonderful series announcer David Rattan, who graciously donated his half right back to the cause. Thank you all for your support of the Be An Angel program! 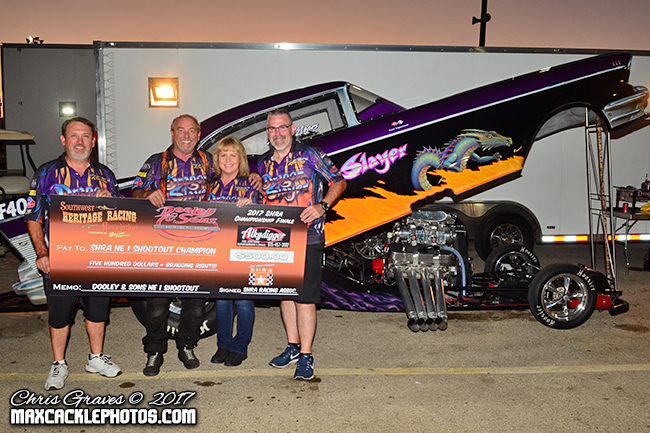 With Championship battles to be settled and fund raising efforts in full swing, additional excitement was provided by the AlkyDigger Nostalgia Eliminator 1-2-3 racers as they competed in the Dooley & Sons Nostalgia Eliminator Shootouts. 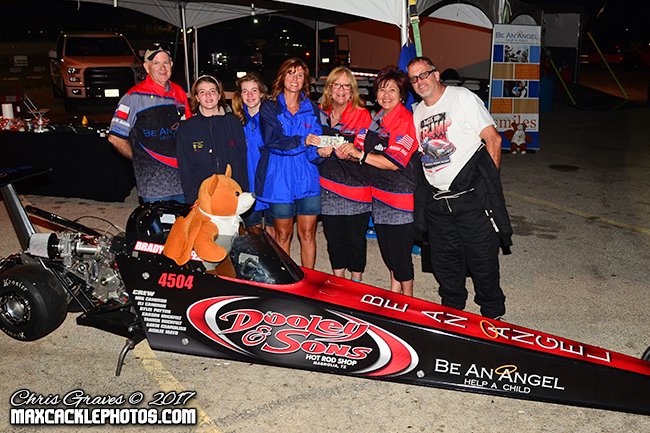 This special race within a race was held during qualifying and included the top eight points earners (based on qualifying from the previous events this season) in a battle for $500 to win in each class, courtesy of Dooley & Sons Hot Rod Shop in Magnolia, Texas. The 4.65 index Nostalgia Eliminator 1 Shootout came down to Andy Mears and Tommy Drozd, coincidently the top two in the class points standings coming into this final event. On the starting line, Drozd was off first but his 4.61 at 148 mph broke out against Mears' 'perfect' 4.65 at 148 mph as Mears claimed the NE 1 Shootout victory in a great race with his top competitor. 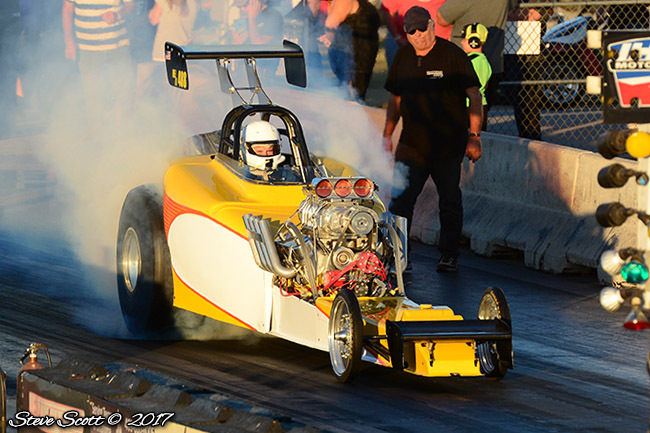 This 4.65 also counted during qualifying and earned him the top spot heading into eliminations of the SHRA Finals. In 5.00 index Nostalgia Eliminator 2 Shootout action, Jeff Cameron met Mike Caknupp in the final round. Caknupp was amped up in his first shootout final round appearance, but his -.004 reaction time ended his chances on the starting line as Cameron posted a strong 5.01 at 137 mph to score his first SHRA NE 2 Shootout victory. Finally, the 5.50 index Nostalgia Eliminator 3 Shootout welcomed Doug Morrison and Josh Moseley to the final round. Both drivers were ready for this one, but Moseley's anticipation got the best of him with a -.005 red light. 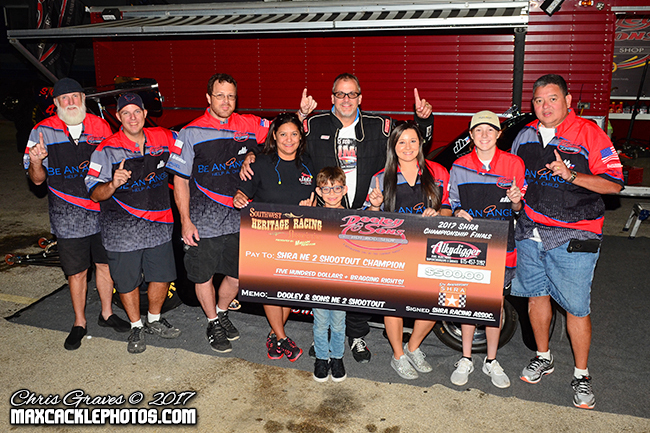 Morrison charged down the eighth mile to a 5.49 at 123 mph to take the win and was looking strong as the Shootouts were now completed and first round pairings were set in all classes. The largest field of AlkyDigger Nostalgia Eliminator 1 cars in SHRA series history was set to do battle with a full 16 car field on tap. Tommy Drozd came in as the points leader, 39 points ahead of Andy Mears. 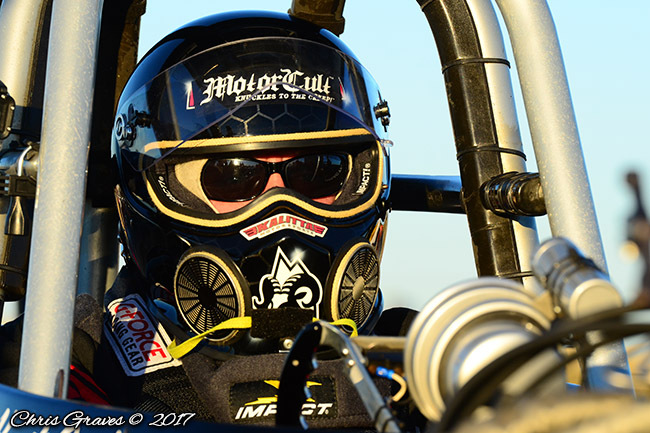 In a big first round match-up, Keith Zimmerer strapped a .018 reaction time with a 'perfect' 4.65 at 150 mph to knock out the points leader's 4.66 in round one. This opened the door for Mears, who gained 10 points during qualifying and now had a chance to overcome Drozd and win the Championship if he could advance to and win the semi-final round of NE 1. Those hopes quickly vanished for Mears in second round as he came up on the losing end of a double break out with Kent Carley. 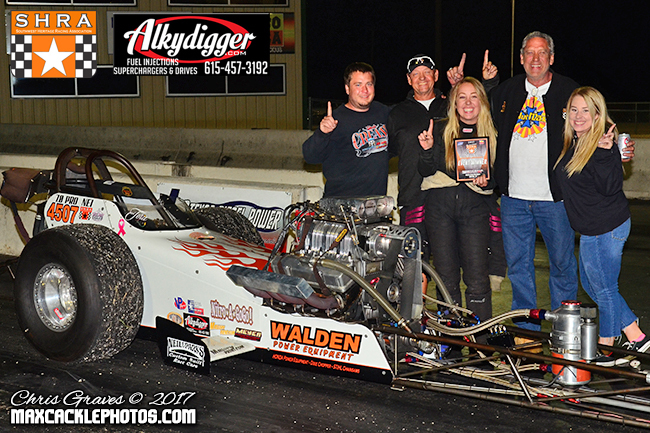 Carley's 4.64 at 138 mph broke out less than Mears' close 4.63 at 144 mph and with the win by Carley, Tommy Drozd and company clinched the 2017 SHRA AlkyDigger Nostalgia Eliminator 1 Championship! Racing continued with some stellar side by side action and Keith Zimmerer continued his winning ways by taking down Shane Blanton and Kent Carley to advance to the final round against top three points runner Tera Graves. Graves had defeated Clay Cunningham, Dustin Johnson, and Odie Coker on her march to the final. 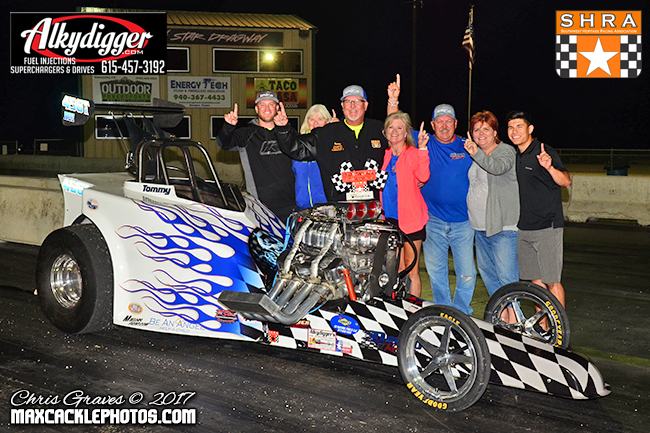 In that final round, Zimmerer's -.016 reaction time ended his winning streak while Graves' thundered in her blown Darrell Walden owned and tuned front engine dragster to a 4.67 at 151 mph to claim a great season ending victory. Congratulations to Tera Graves on a big win to close the year and to Tommy Drozd, 2017 NE 1 Champion. With her win, Graves almost took over second place in the final standings, but came up one point short to Mears and will settle for third.